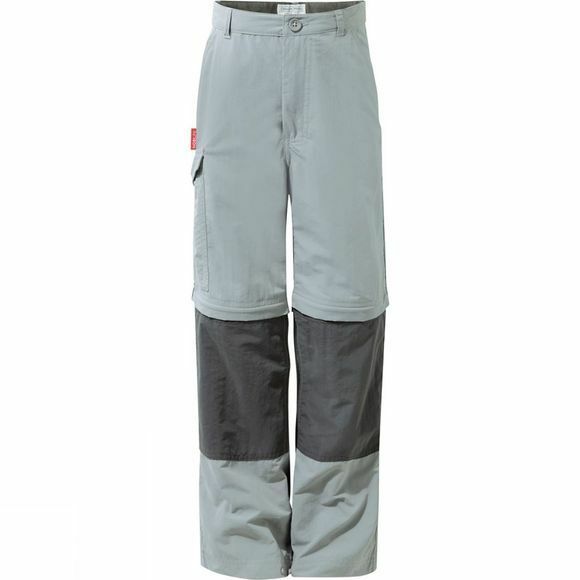 The Kids NosiLife Convertable Trousers from Craghoppers have a survivor–style, and are suitably rugged for junior adventures. These imaginatively designed convertibles feature permanent insect–repellent action plus effective UV protection and quickly convert from trousers to shorts for a rapid response to prevailing conditions. Cool styling with contrasting panels.